Yesterday was my lazy day. The weather was beautiful. I played with photos, saw a movie, and just chilled. Oh, and I made over a little basket. 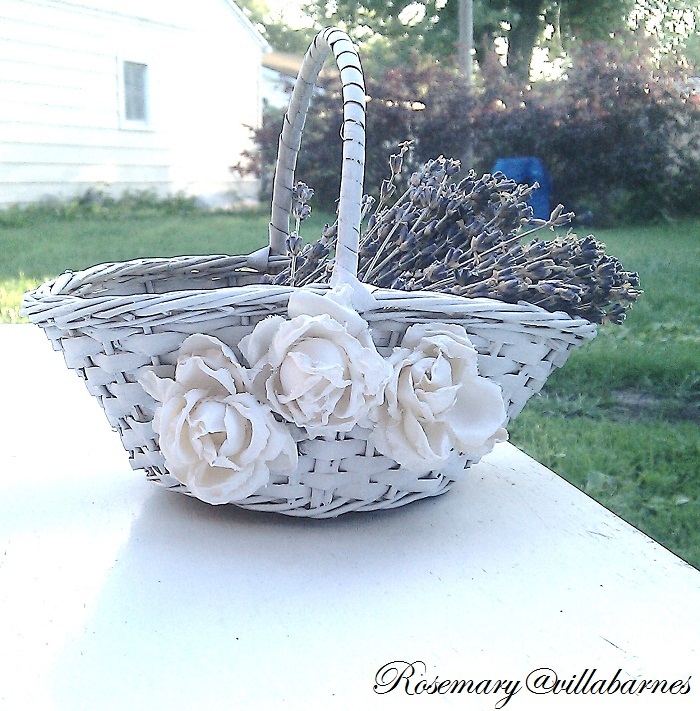 This is one of the vintage willow baskets I found a little while ago. 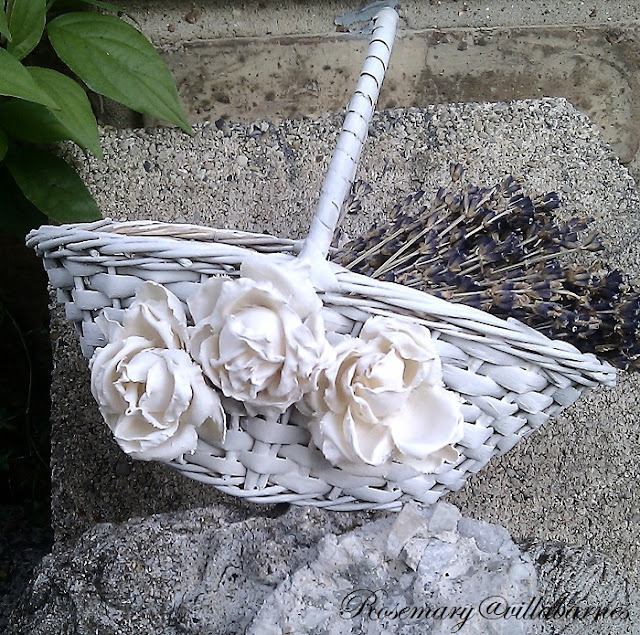 I added a few of my fabric roses, and stiffened them like I did with my shabby frame. 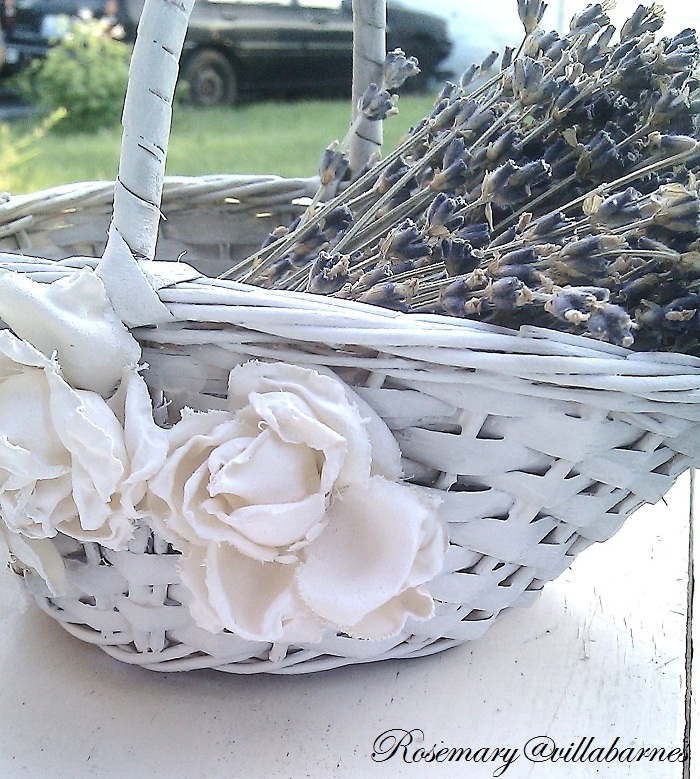 I spray painted the entire thing, brushed it with gesso, laid some lavender inside and took pretty pictures outside. I love the basket!! Those roses are amazing!! I love them. Great transformation! The roses are so pretty and your lavendar is gorgeous! Enjoy the weekend! That is totally beautiful. What you call a lazy day I call a productive day! So happy you had a lazy day because you always are filled with energy. 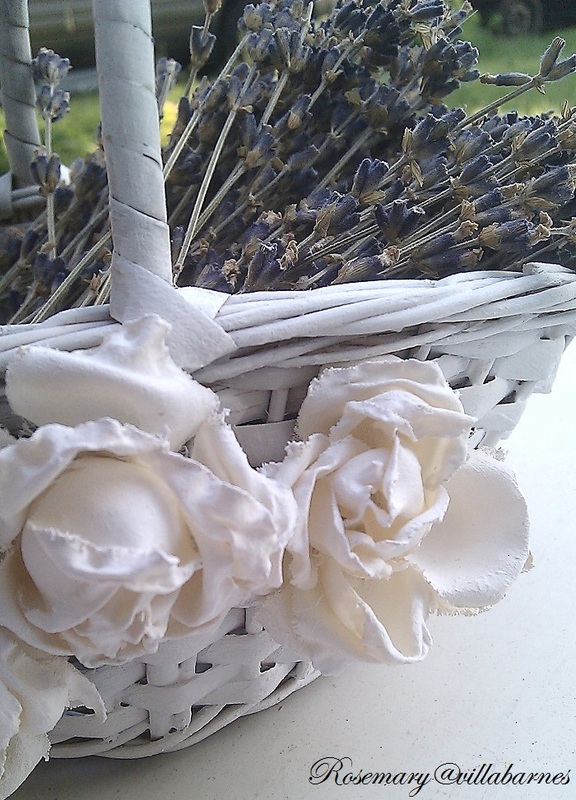 Got to love lavender...especially in a gorgeous basket created by you!! Those fabric flowers are great and they are just the thing to pop that basket! I love those roses you made, Rosemary! I'm glad to hear you took a day to relax! You deserve a lazy day. Beautiful transformation. Rosemary, I just love your feature at Saturday Night Special of the fan with the crystal knob! Your lazy day would equate to a busy day for me:) Your basket is beautiful! That turned out so pretty! Of course, it goes without sayng, that I love the colors you used (white and purple). The fabric roses really transformed that basket. Glad to hear that you took some R&R time out for yourself. I agree with CURIOUS BOYS!!! This is just fabulous,LOVE what your doing with the roses~~~I've got it on my list to try. Glad you gave yourself a "playday". Please, Rosemary, you are never lazy! ;) But time spent with the boys is time well spent! LOVE baskets and this is gorgeous! Congrats to the winner...a beautiful & generous giveaway. 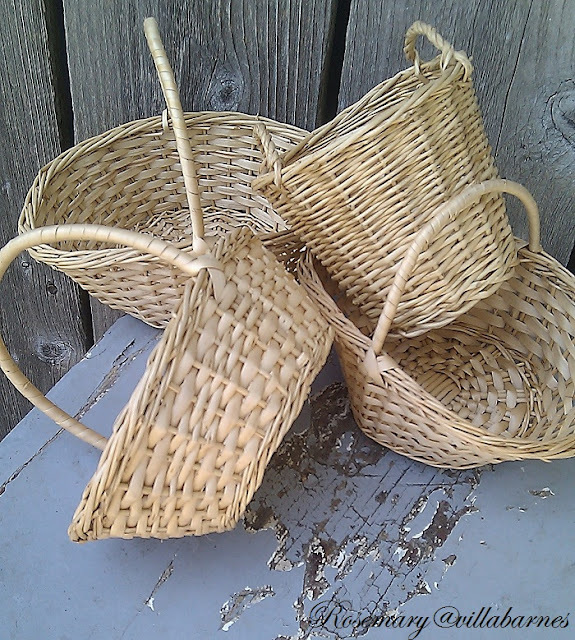 You made a dramatic difference in the basket. Looks stunning now!